Live emergency messaging on Lamar digital billboard in Georgia. The idea for the public-private partnership was born in a 2014 winter storm that snarled traffic in metro Atlanta. 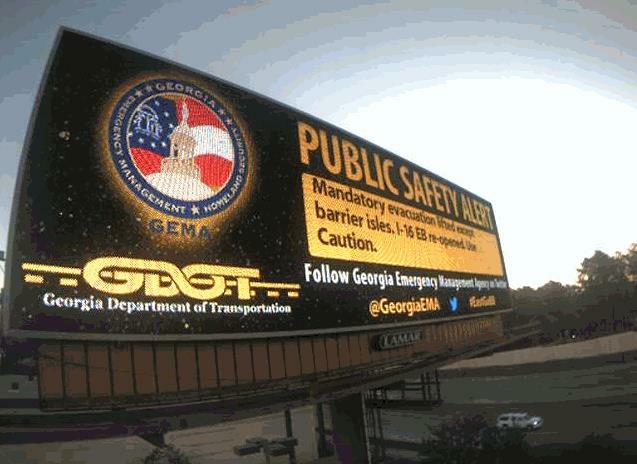 Conner Poe, executive director of the Outdoor Advertising Association of Georgia, initiated talks with state agencies, aiming for direct access to digital billboards in emergencies. Digital messages would pull from a twitter feed to notify drivers of risks such as emergencies, weather, traffic, and more. Messaging would be area-specific based on hashtags used. With each new tweet, digital billboards would be updated. In 2015, the idea was tested, and it worked. In January 2016, the system was again tested as part of a winter weather advisory. Pre-approved templates with the headline PUBLIC SAFETY ALERT include a field to populate Twitter messages. Lamar’s inventory of digital billboards in Georgia matched the locations of the storm threat along the East Coast. Some digital billboards could not immediately post emergency messages due to loss of power. More than 1,500 AMBER Alerts have been transmitted to digital billboards from the National Center for Missing & Exploited Children since 2008. The FBI says it has apprehended 54 fugitives as a direct result of tips prompted by “wanted posters” on digital billboards. Florida’s pioneering partnership with the state emergency agency is featured on the website of the Federal Emergency Management Administration (FEMA). Local authorities use digital billboards to assist law enforcement, find missing persons, and deliver emergency information. 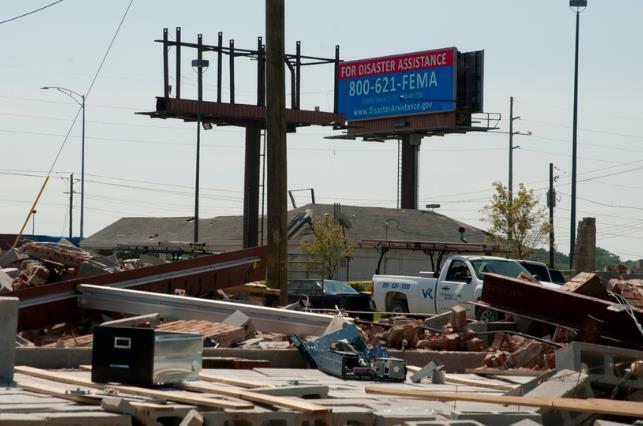 FEMA uses digital billboards following devastating tornadoes in Tuscaloosa, AL. Lamar Advertising Company (Nasdaq: “LAMR”) will release its third quarter ended September 30, 2016 earnings report before the market opens Thursday, November 3, 2016.